So much of evangelism seems to focus on "closing the deal" by giving someone the opportunity to pray the "sinner's prayer" and really, really, really mean it. If we don't do that, the perception is that we have failed, and that person may continue in a life of sin because we didn't do our part. If you have ever tuned in to Way of the Master Radio, you have undoubtedly heard Todd Friel and Ray Comfort witnessing to someone over the phone. This past Thursday they witnessed to Marcus, who seemed very open and receptive to what they had to say. At the end of the call, Todd implored Marcus to repent and put his trust in Christ. He closed by saying, "Take care. We'll be praying for you." Isn't the gospel itself the invitation? Where does the Holy Spirit come in? I'm very familiar with WOTM and I have taught it several times. In class, we often discuss what our response should be at the end of a witnessing encounter. 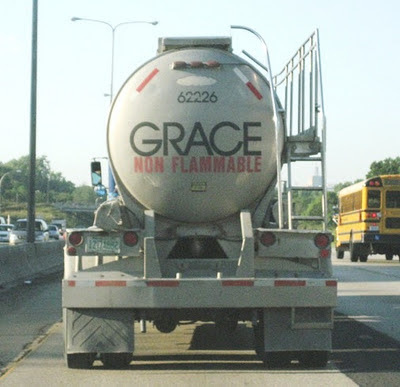 If you subscribe to the notion of sovereign grace, you would logically conclude that after you've faithfully presented the Gospel, no matter how well or how poorly, the response is in the hands of the Holy Spirit. As a false convert for 35 years, the last thing that I want to do is lead someone in a meaningless prayer that gives them a false sense of salvation when in fact there has been no regeneration. If God is calling them, He will continue to call them after I leave the scene. Obviously, if the person is broken and desires to REPENT and BELIEVE (rather than just get "fire insurance"), there's no greater pleasure than to see them exercise the faith that God has given them. But it's not for me to pressure them. My goal is to fully explain the Gospel, answer any questions, and to leave them with a Gospel tract that they can refer to later. Then PRAY!